Get a sneak peek at Music Box, a wondrous stage play presented by Future Music & Entertainment Group Australia, produced by Australian producer Neil McLean, and adapted from a true story in 18th century England! Music Box has been performed 17 times all across Taiwan, Indonesia, and Malaysia in just a mere five months’ time, selling out every show and receiving a total attendance of 7600. ️ ️ ️ ️ Music Box was also the selected theatrical work to represent Malaysia in a cultural exchange in Indonesia. Performed in Taipei for the first time, Music Box proved to be popular among theatergoers, achieving a full house attendance! Its outstanding record of 17 shows even made news on Hong Kong’s TVB Entertainment News, Astro Malaysia, and various TV stations in Taiwan, Hong Kong, the United States, China, and Australia! ️ Jessie Chung portrays a bar songstress experiencing the ups and downs of romance, friendship, and family as she tries to make sense of three men’s affections for her. 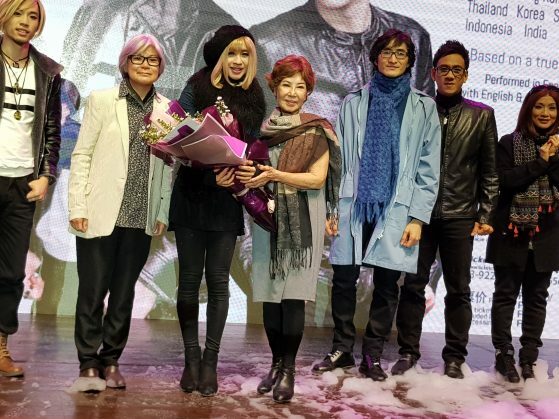 Music Box also incorporates Jessie Chung’s life journey and three relationships, and its director invited Jessie Chung’s ex-boyfriend Marcus Choot and 20-year-old son Jeffrey Beh to share the stage. To give theater lovers a chance to see this highly-anticipated stage play, Future Music & Entertainment Group Australia has drawn up a brand new tentative performance schedule. Once the dates are confirmed, the organizer will then announce them to the public. Stay tuned for this breathtaking, standout production from Future Music & Entertainment Group Australia!